To enjoy cookout flavor indoors, get the lowdown on the best machines on the market. Grilled food fans, rejoice! The industry has been busy perfecting electric grills, filling a need for folks who want the ease and flavor of grilling all year long. This guide will help you understand what’s out there and how to choose the best electric grill for your needs, from super sandwich presses to heavy-duty models that can take on an entire dinner party’s worth of meat and vegetables. Not everybody has a big backyard or a temperate climate all year long. So while BBQ purists who insist upon that charred, smoky flavor may scoff at electric grills, the devices do allow you to grill food indoors or out on a porch or balcony in a building that prohibits open flames. Plus, electric grills don’t produce the smoke and char proven to carry carcinogenic properties, potentially posing a health risk after prolonged periods. In fact, some newer models use infrared heat, which tends to cook meat more consistently than other forms of heat, including fire. An electric grill’s heating element, located inside or just beneath the cooktop, is powered with a cord similar to any other kitchen appliance—just plug it into a wall socket and cook away! Grease runoff is caught in a drip pan typically included with the grill, and when you’re through, there’s no waiting for coals to cool down or dealing with gas canisters; you simply turn it off and/or unplug it. What’s more, cleanup is typically pretty simple, especially on models with removable plates that can be washed in the sink or dishwasher. Most exciting for “real” grill enthusiasts, some models now better approximate the same heat intensity of a traditional grill—and food tastes better for it. Before you buy, check your community’s policies on electric grills. Property managers, homeowners associations, and condo boards often have specific rules regarding these kinds of devices, so don’t risk a heated exchange over an avoidable conflict. Small, convenient countertop grills are generally best suited for indoor use, while stainless steel varieties and those on legs are typically meant for outdoor use and storage. 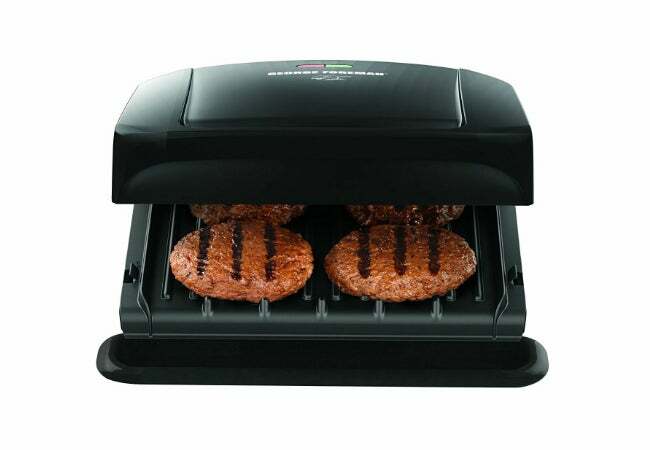 Personal models like the ever-popular original George Foreman grill are perfect for making a single sandwich or a couple of small burger patties (which require about 20 to 25 square inches of cooking area apiece), while larger varieties may have a cooktop as vast as 500 square inches—enough to quickly service a large family all at once. Wattage varies, with smaller indoor models running around 1200 watts and larger models coming closer to 2000. The more wattage, the more powerful the grill, which generally makes it capable of producing higher temperatures and distributing heat more evenly than its lower-watt counterparts. For a small grill, you’ll only need enough power to consistently heat a humble amount of food at a time, so lower wattage on an 80-square-inch countertop grill, for example, isn’t necessarily a bad thing. While countertop versions are fine with short cords, you’ll want a longer cord (or an extension cord, in some cases) for a grill you intend to use outdoors. And additional features might include removable/dishwasher-safe grates, adjustable thermostats, and temperature gauges. Do you want the best electric grill for your indoor or outdoor space? Take a look at three of the top-rated and best-selling models on the market today, based on reviews by actual users and ratings by leading consumer testing sites. Amazon reviewers love this classic countertop grill made famous on television by its iconic namesake, boxer George Foreman. The GRP1060B refers to itself as “4 serving,” meaning it can hold four small burger patties at once, and the 1500-watt model heats up in two-thirds the time of its predecessors. Available in black at its budget-friendly price (or platinum for about $10 more), this great little grill offers a quick, easy, and affordable way to cut the fat and avoid the char, cooking most foods in 10 minutes or less. Available on Amazon. 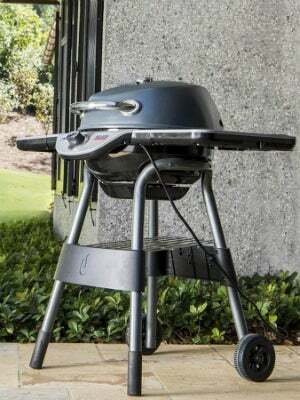 For a little more heft and the look of a traditional grill, the Char-Broil Bistro 1750-watt infrared electric grill earns high marks from Lowe’s shoppers who cite its heavy-duty construction and ability to thoroughly grill food without cool spots, although not particularly quickly. Infrared heat helps meat cook consistently, and once a batch is complete, a removable warming tray keeps everything at an ideal serving temperature. 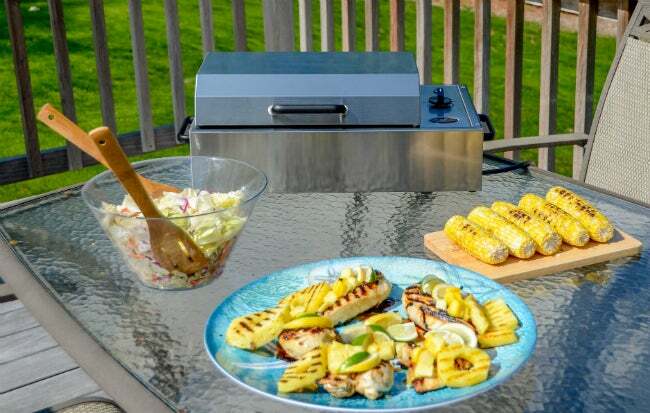 Reviewers also mention the standing grill’s easy assembly, ample 320-inch cooking surface and one charcoal-to-electric-grill convert even remarked, “An infrared grill changed my charcoal heart.” Available at Lowe’s. The professional home goods reviewers at The Spruce awarded the Kenyon Electric City Grill the number one spot among its top seven electric grills of 2017. 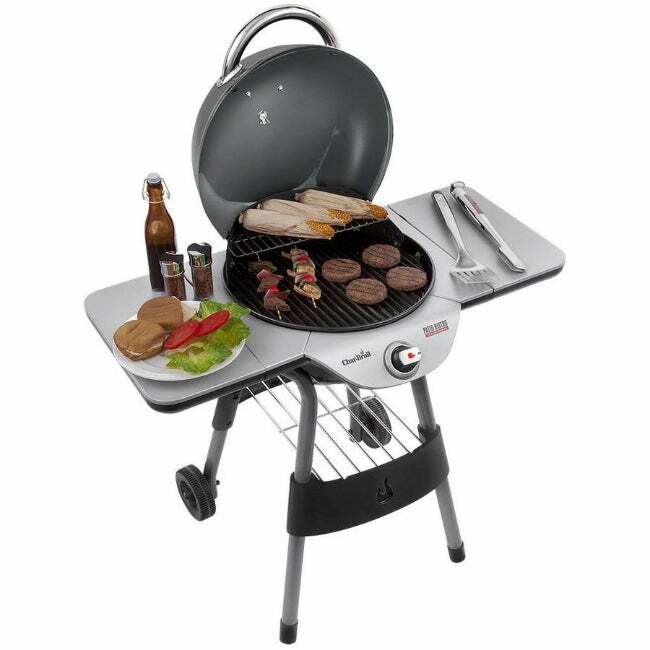 While it comes at a hefty price, its sturdy construction, minimalist design, and ability to produce similar heat to gas and charcoal grills set it above its contemporaries in the premium grill category, mostly made up of stainless steel models. 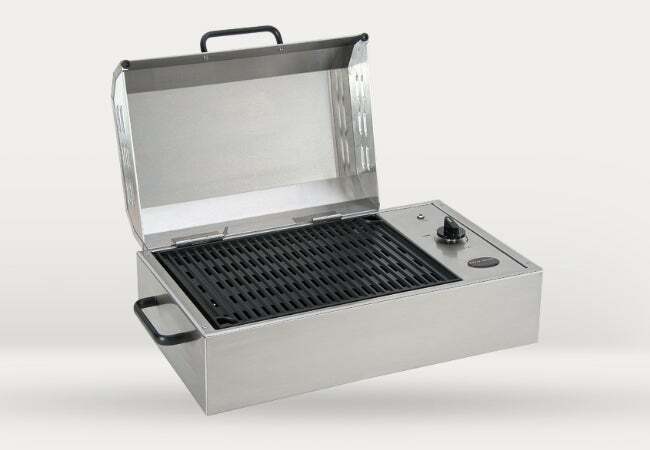 The 1300-watt countertop grill offers 155 square inches of cooktop, its low smoke output and disposable drip pan make cleanup a breeze, and its relatively light weight (24 pounds) and double handles mean it’s easy to lift and carry. Available at cookwithkenyon.com.